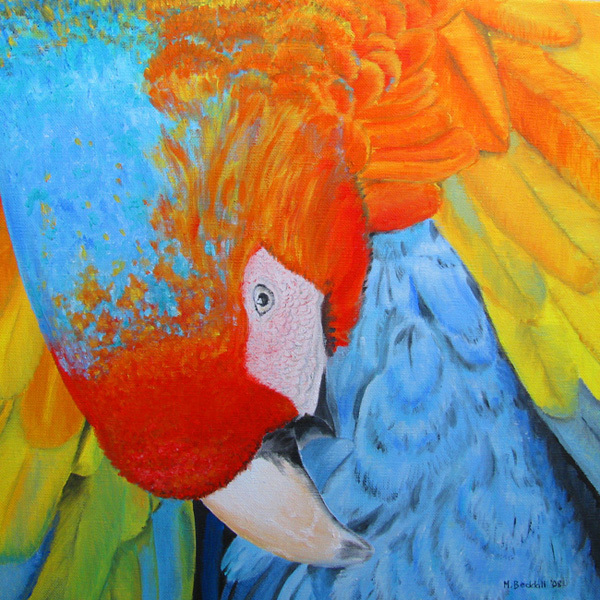 I stumbled upon this picture of a parrot that just blew me away with its beautiful colours. I asked the guy who took the picture, whose online name is Joemc, if I could paint it and he kindly gave me permission to do so, and full rights to sell it as well. Here's the finished result.